Golf Pride has a sweet offer now through April 30, 2011. Come into Haggin Oaks Club Repair Center and regrip eight (8) or more golf clubs with Golf Pride grips and claim your FREE Golf Pride backpack. The first 10,000 golfers who send in their original cash register receipt (circle the Golf Pride grips that were purchased between 3/8/11 – 4/30/11) and fully completed official entry form will receive a free backpack with Golf Pride logo. 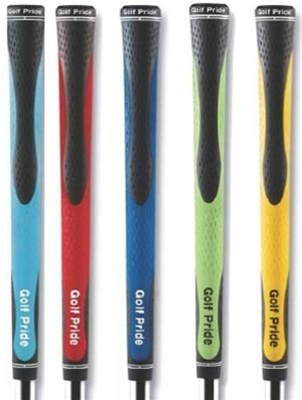 Golfers must purchase eight (8) or more Golf Pride grips at any retail or on-course shop. Purchases made on internet auction sites do not qualify. Click HERE to download the backpack form. To order your Golf Pride grips online at www.MortonGolfSales.com, click HERE. How come your website shows CLUB REGRIPP ads for 2011? No current specials? You are looking at the blog for Morton Golf and an article from 2011. For current specials, please contact our Club Performance and Repair Center at 916-808-0441.